Let us plan your private tour exploring Thailand's cultural hotspots and dreamy beaches. The World’s Best Beaches? In Thailand of Course! While Thailand’s beaches are its biggest draw, it is also a cultural treasure-trove. A golden spire gleams over a Bangkok shrine, the ruins of Ayutthaya nearby hark back to a glorious past, while Chiang Mai, cultural capital of northern Thailand, is studded with hundreds of temples. Just because Thailand is famous with backpackers, that’s not all it has to offer. There are plenty of ultra-luxe beach resorts, with top-notch service, on some of the loveliest sun-kissed beaches in the world. Koh Phi Phi and Koh Samui may be famous, but you probably haven’t heard of Koh Lanta or Koh Krood. But the experts at Enchanting Travels certainly have. They can help find you the right kind of beach paradise, or maybe a secret hideout on an unnamed island. 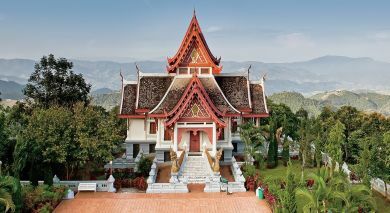 If you’re travelling halfway across the world for some downtime and rejuvenation, you’ll find that Thailand is spa heaven: massages, reflexology, Ayurvedic treatments in settings most sublime. After its beaches, Thai food is the second biggest reason to come to this Southeast Asian country. Beyond the ubiquitous coconut curry, pad thai noodles, and papaya salad, there are many regional Thai specialties. Street food is rightfully popular, but get some of the freshest seafood at floating restaurants around Coconut Island in Phuket. And note that Thailand also has its fair share of stylish bars and hip rooftop restaurants serving a wide variety of dishes: from Thai home-cooking to Royal Thai Cuisine. Thailand has a warm, tropical climate with high temperatures and high humidity. The best time to travel to Thailand is the cooler season from November to the end of February, but the ideal travel time varies from region to region. Follow this link for more information on your Thailand tour. Paradise beaches, magnificent temples and the city of angels – Thailand is full of treasures! Follow this link to discover our list of top ten things to do in Thailand. The level of safety and security in Thailand is the same as most other Southeast Asian tourist destinations. However, it is prudent to follow certain safety measures to ensure that your trip is stress-free. Here is an overview on safety tips to follow while in Thailand. 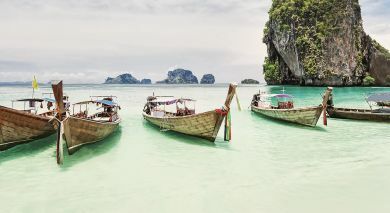 Our destination experts have compiled the most important tips for your Thailand vacation. 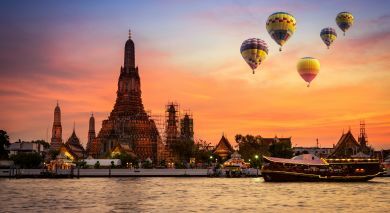 Follow this link to receive detailed information on health, currency and the culture of Thailand. 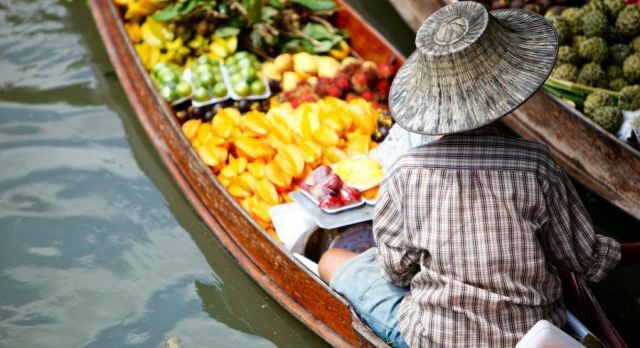 Thailand is believed to be a paradise for gourmets as it has no restrictions in terms of food. 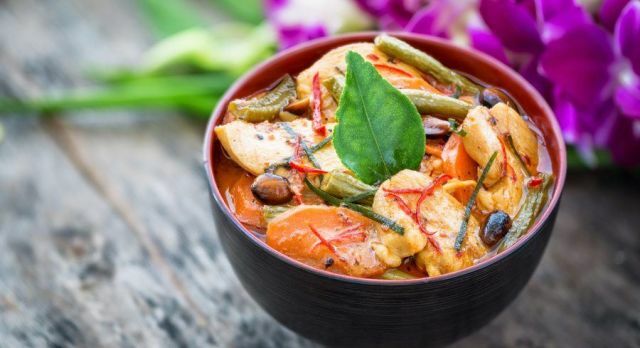 The traditional cuisine of Thailand is a beautiful balance of sweet and spicy flavors, and includes everything from grilled meat and stir fries to delicious soups and salads that literally melt in your mouth. You will find that rice is nearly inescapable during our Thailand tours! It is a staple part of the diet and available in two varieties – the standard white type or the glutinous sticky rice, which is rolled in balls and eaten mostly in the northeastern parts. Thai people enjoy a variety of tropical fruits and coconut. Coconut milk is very popular. Street-side vendors are popular for grilled satays and other delicious varieties of meat. Feel free to indulge yourself at any one of the celebrated restaurants in the country, and especially in Bangkok, duringour bespoke Thailand tours. Our Thailand tours offer you real adventure and relaxation with a heady mix of glistening temples, amazing festivals, gorgeous tropical islands, delectable food and friendly people. As you travel in Thailand, you will discover a nation that is slowly transforming into a developed country from a developing one, while maintaining its rich and distinct heritage and culture. Thai people are generally very relaxed and tolerant, and they believe in being happy and having fun – the word ‘sanuk’, which roughly translates to the French notion of joie de vivre, is central to the Thais’ philosophy of life! You will find that religion is a powerful aspect of Thai culture and about 90% of the people follow Theravada Buddhism. Thai is the official language of the country. Although English is a mandatory subject in schools, the number of fluent English-speakers is limited to the urban areas. Thai people don’t normally shake hands but respectfully greet one another with the traditional wai by folding their palms together. During one of our Thailand tours, avoid touching people on the head and do not point to your feet at people or an object as this is considered very rude. Remove your shoes before entering a private residence and do avoid public displays of affection. 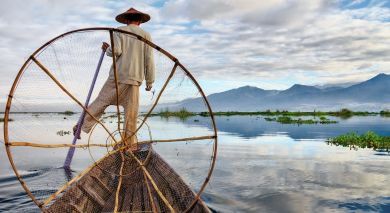 Thailand was home to some of the oldest inhabitants in the world – agriculturalists who lived in the fertile Mekong valley. Our private Thailand tours take you deep into the verdant valley, which is one of the largest producers of rice in the world! The population of Thailand migrated from China between 10th and 14th century AD and the Khmer kingdom, on the border of present-day Cambodia, influenced the culture, art and architecture of Thailand considerably. Several dynasties ruled Thailand between the 14th and 18th centuries and in the 19th century, the country appointed westerners to advise the court. In 1939, the country changed its name from Siam to Thailand, meaning Land of the Free – a resounding philosophy evident during Thailand tours! After the second World War ended, Japanese supporters assassinated the king and went on to control the country for the next two decades. Between the 1970s and 1990s, Thailand saw a series of political upheavals. 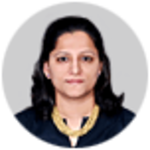 The financial crisis of 1997 opened the country’s eyes to its destabilized economy and economic reforms were finally implemented. Until recently, Thailand has charted through difficult waters – from the unrest in the South to the devastating tsunami of 2004, and the continuous dispute with neighboring Cambodia over Angkor Wat. Today, peace talks have restored harmony and Thailand tours have flourished.